L-R Claire Farr and Paula Swann-Jones. Photo courtesy of Beth Walsh Photography. 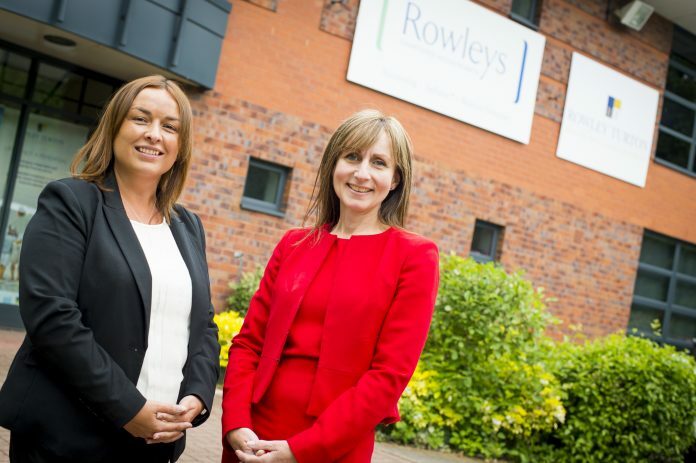 Leicestershire accountancy practice Rowleys has promoted Claire Farr to Associate Director in the firm’s specialist medical team. Claire joined Rowleys’ Medical Sector in 2013. She was previously a finance manager at a GP practice and before that worked as a finance manager mainly in the charity sector. Claire said: “In my new role I hope to develop and expand our medical team, while maintaining a high standard of service to our clients. “I love working with the medical team. We share a commitment to provide an excellent level of service to our clients, while supporting each other to develop our knowledge in what can be a very challenging sector. Claire will work closely with Finance Director Paula Swann-Jones and Medical Sector Director Glyn Rawlings. Paula said: “Claire’s promotion to Associate Director in Rowleys’ medical team is recognition of her true care and commitment to supporting our GP clients and her colleagues. “Claire will be looking for opportunities to help practices be more profitable and provide support in NHS financing. We are committed to continually improving the standard of care we offer to GP’s and their staff.